Jacob P. Smith joined Bartell Powell LLP in 2018 as an associate attorney. Working out of the Champaign office, Mr. Smith focuses on business law, commercial real estate, banking, and estate planning for business owners, real estate developers, banks, and property managers. Prior to joining Bartell Powell LLP, Mr. Smith was an attorney at Heavner, Beyers & Mihlar, LLC in Decatur, Illinois and focused on foreclosure law. He also worked at Meyer Capel in Champaign-Urbana, researching a variety of legal disciples, including real estate, business planning, mergers and acquisitions, and more. 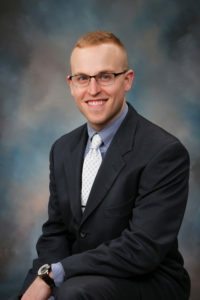 Jacob Smith earned his Juris Doctor Degree from the University of Illinois College of Law and his Bachelor of Arts in Political Science from the University of Illinois. During his higher education years, Mr. Smith worked at the Community Preservation Clinic as an advocate for borrowers in the McLean County Foreclosure Mediation Program. Since 2010, Mr. Smith has served in the Illinois Army National Guard and is a member of the Judge Advocate General’s (JAG) Corps. He has been awarded the Distinguished Leadership Award, Army Commendation Medal, and the Coin for Excellence. Outside of work, Jacob Smith enjoys physical fitness, scuba diving, real estate investing, and marksmanship.